In less than a month, we will know the 2016 Eclipse Award winners. I’ve made my picks, but that was relatively easy; this is hard. As has become tradition, I’ve decided to fire up the ZATT time machine and jump forward just a little bit. Call it a fool’s mission if you must, but I’m only trying to have a little fun with some reasonably well thought out projections for the 2017 racing season. My very early picks for the 2016 awards should be rewarded with a trio of winners in California Chrome, Songbird and Beholder. Let's see if I can have as much success this year. Nothing like putting a little pressure on a barn by selecting both the male and the female champion three-year-olds to come from the same trainer. As unlikely as that feat may be, there is no horse that I like better from each division than what Mark Casse has in the Breeders' Cup Juvenile winner, and the fast closing Breeders' Cup Juvenile Fillies runner-up. They are my current top picks to win the big races at Churchill Downs five months from now, and that's good enough for me to make them my early Eclipse Awards picks as well. Yes, Arrogate would be the obvious choice in the older male division. Sometimes you get a hunch, though, and my gut tells me that he may be retired well before we reach the Breeders' Cup of 2017. For that reason, I am going with another newly turned four-year-old who would seem to have everything going for him heading into next year. Connect is talented and tough. I am expecting very big things from the colt who bravely fought on to victories in the Pennsylvania Derby and Cigar Mile. And of course, for the older female, I am only expecting more of the same from the great daughter of Medaglia d'Oro. The choice of Drefong was so obvious that I almost decided against him, but in the hands of Bob Baffert, I suspect the son of Gio Ponti will be even better as a four-year-old. That would be a scary proposition to his sprint competition. On the female side, I am leaning towards youth, but with the same trainer as my male selection. If sprinting becomes the main game of American Gal in 2017, look out for the talented daughter of Concord Point. Hard to look past Tepin, and her chances of winning a third Eclipse Award next year, but on the other hand, what has Lady Eli done wrong in her three seasons of racing. With much of 2016 lost due to recovery, I like her to come back with a big year as a five-year-old. 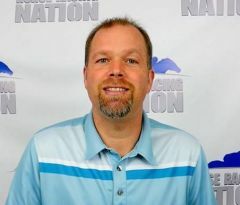 On the male side, I decided to stick with America's top turf trainer, Chad Brown. Annals of Time is very lightly raced, but looked like a million bucks in blowing by the Hollywood Derby field. I think he can win at multiple distances, and it doesn't hurt to know that he likes the Del Mar turf course. 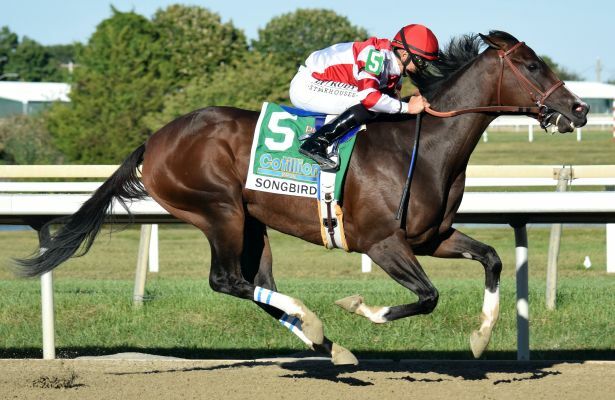 Picking a female to win the Horse of the Year Award is always a risky proposition, but as good as Songbird is, much of the risk falls by the wayside. Let's look forward to another big year for the Fox Hill Farm superstar. There you have it, eleven predictions sure to entertain at least a ghost of a chance for 2017 glory. Don’t laugh, this was not easy … Have any very early predictions of your own?